Can I insure my bicycle? I was introduced pretty early on to the harrowing feeling of having a bicycle stolen. It was a beautiful spring day and I was a naïve eighth grader who had ridden his fancy new bike to school for just the second time ever. Fresh off the heels of a smooth commute, I locked it up at the rack by the side of the building and went in for class. That was the last I ever saw of it. Surely this must be some kind of joke, I remember thinking to myself after first realizing what had happened. After all, I had locked it up; I had done everything right! Unfortunately that's not how thieves see things. This one was clearly skilled, and my bike was just one of several bicycles that were taken from that rack during the spring. As difficult as it is to fathom a person actually having the nerve to pick on children like that, bike thievery is just a fact of life, and will continue to be unless bicycles lose their value or ramped up surveillance eliminates public wrongdoing of any kind. In the meantime, there's at least one way to mitigate the damage caused by a stolen bike, and that's insurance. But there are a lot of variables when it comes to insuring a bicycle, all of which we'll unpack below. A bike and a home are two very different things, but for the purposes of insurance, sometimes they fall under the same umbrella of coverage. Most home insurance policies allow for compensation for a client's personal belongings, or the belongings of those who live in the dwelling and are listed on the policy. Bikes certainly fit that bill. However, it is often the case that the only way to receive that coverage for a bike is for the bike to have been stolen on the premises of the insured property (It was definitely the case when my bicycle was stolen at school...). Public spaces are an entirely different beast when it comes to home insurance policies. 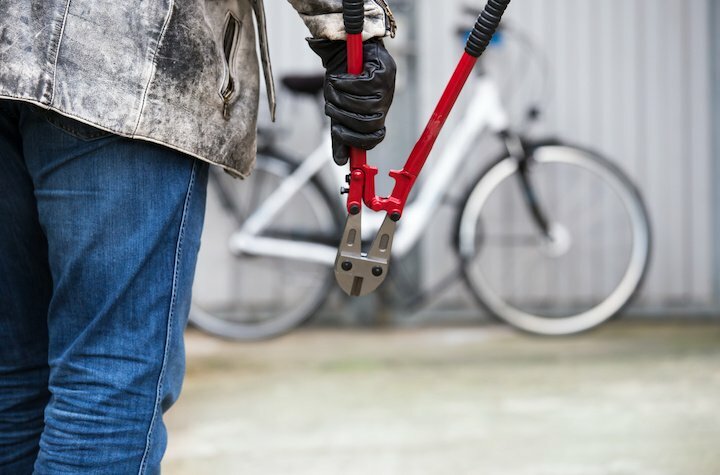 Even when a bike is stolen right off of a person's home, though, the extent to which it is covered may prove to be pretty underwhelming for the owner. For starters, he or she probably won't be compensated at full value. Insurers tend to only reimburse items at actual cash value, as opposed to the full replacement value; meaning that a bike that was bought for $1,500 and would still require that much to buy a new replacement, could garner only a few hundred from the insurance company, because the value of that particular bike has depreciated. Claiming a bike under a home insurance policy will also likely require the claimant to pay a deductible, which could greatly cut in to the value of the claim, depending on how high it runs (and most run well into the hundreds). Then, there's the possibility that making the claim will erase a no-claims discount, assuming the insurer offers such a thing. If being claim-free is allowing a homeowner to save hundreds or thousands of dollars annually, then giving that up to replace a bike won't be worthwhile at all. One way to sweeten the deal for a claim that falls within a home insurance policy is to take out a rider on the bicycle. A rider is essentially an add-on that allows a policy to cover things that aren't typically included in the policy's parameters. People get riders all the time for things like expensive jewelry or artwork so that they wouldn't get a raw deal in the event of a theft. A rider for a nice bicycle may be a little pricey (likely in the $100-$200 range annually), but it can really soften the blow to get full value back and not have to worry about a deductible. Policies specifically covering bicycles are somewhat rare but not too difficult to find. What separates a bicycle policy from a home insurance rider is the range of coverage the buyer gets. Rather than exclusively cover theft and damages, bike insurance will also give cyclists top notch coverage in the event of an accident, ranging from crash damage to medical payments to replacement bike rental and more. Though bike insurance will sometimes be offered by a traditional insurer, it is more common for it to be provided by a specialist or done on a bespoke basis. Pedal Power Insurance is one such example in Canada, as is Velosurance in the United States. There is even a Cycling Canada National Insurance Program that members can buy into. Getting a bike stolen can be devastating, but it doesn't have to be. If you're the type of person who's hoping to save money by commuting every day, then good insurance coverage could prevent that strategy from backfiring in the event of theft. Start by taking a look at how helpful your home insurance policy is for stolen bikes, and then decide if a rider or bicycle insurance is for you.